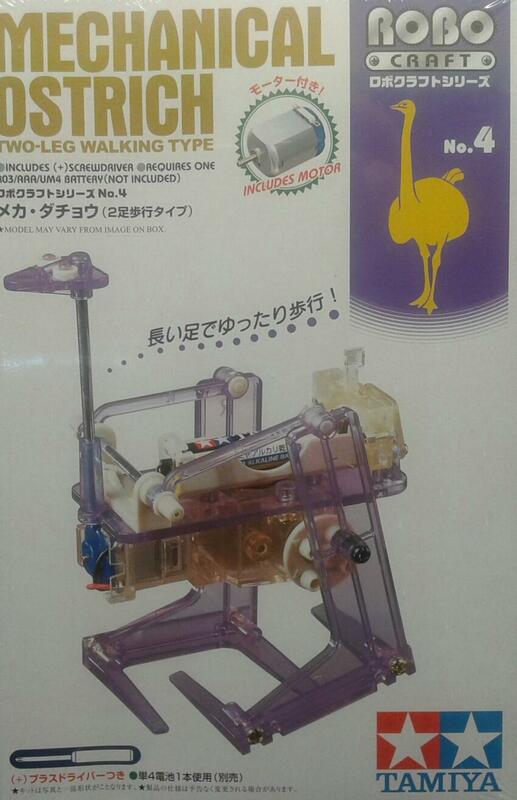 MECHANICAL OSTRICH TWO-LEG JUMPING TYPE. AVESTRUZ MECANICO. PUEDE CAMINAR LENTAMENTE AL DESACELERAR LA VELOCIDAD DEL MOTOR POR MEDIO DE LA TRANSMISION.HECHO EN ACRILICO TRANSPARENTE PARA OBSERVACION DEL MOVIMIENTO. ROBO CRAFT SERIES. INCLUYE MOTOR Y DESARMADOR DE CRUZ. REQUIERE UNA BATERIA R6/AA. NO INCLUIDA.